First Look Jannat 2: a teaser and a poster! 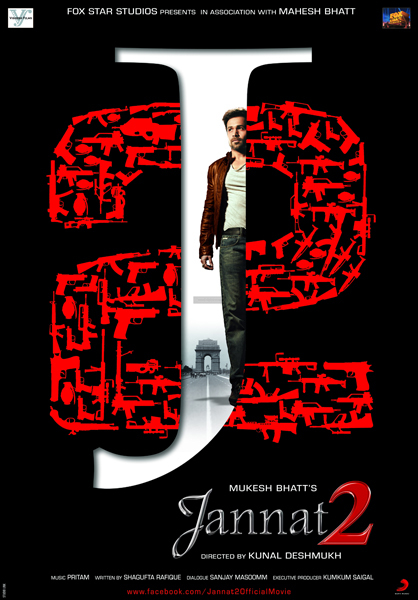 Are you ready for the upcoming Delhi-set crime thriller JANNAT 2? Reuniting actor Emraan Hashmi and director Kunal Deshmukh, this sequel to the exciting 2008 hit will release in theaters worldwide on May 4. Talking about the film Emraan said recently, “At heart, it’s an old school romance revolving around a small-town guy who comes to the big city looking for a piece of heaven, falls in love with a girl he would do anything for, and like Arjun, loses himself in the dark underbelly.” The film also stars Randeep Hooda, Esha Gupta and Imran Zahid.